Revere Folie is designed and Handmade in QLD, Australia, by the wonderful Angie. 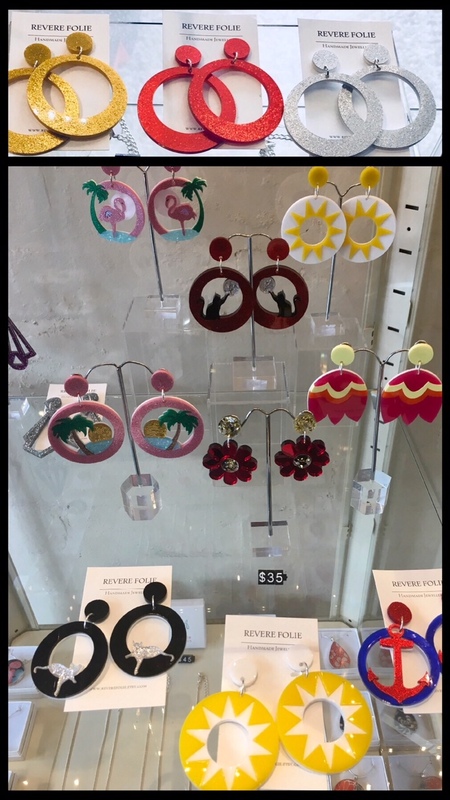 These fabulous acrylic earrings and necklaces, which have gained huge popularity on social media, are inspired by bygone eras. Sprinkle Emporium has a fun selection of these coveted pieces…and so reasonably priced.